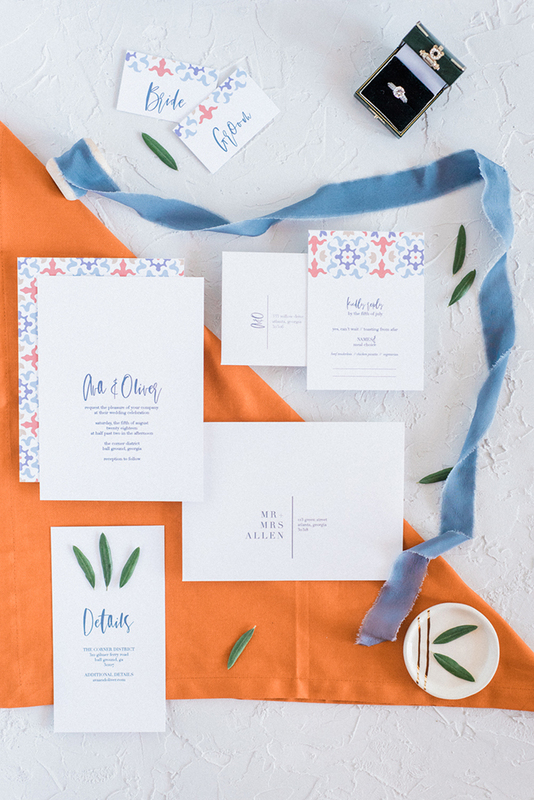 We’ve recently shared some bold and vivacious Mediterranean wedding ideas, and the shoot we are featuring today is all about that. 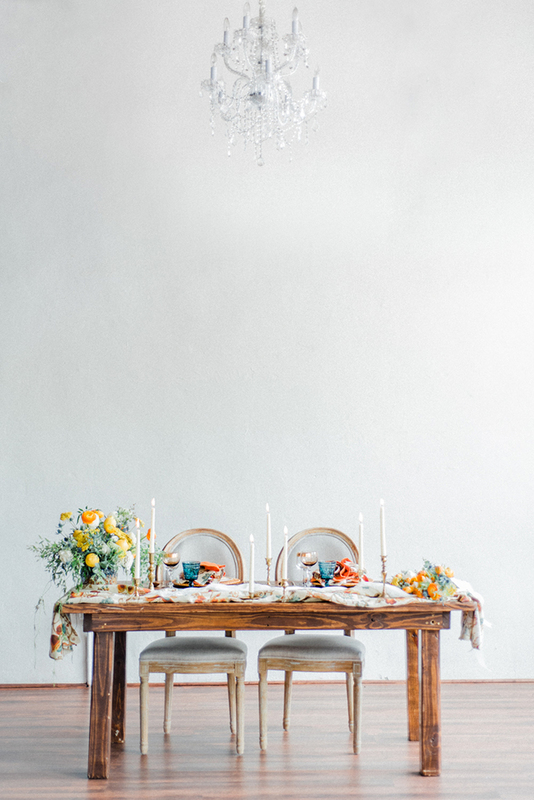 The winter is going to the end and it’s high time to enjoy some lively Mediterranean wedding ideas, let’s start. 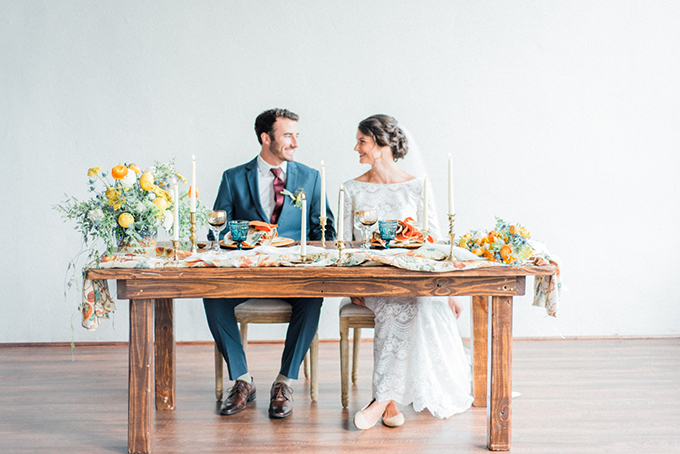 Heather K Cook Photography brought together an amazing team of vendors to inspire couples with this fresh color palette and organic vibe we just can’t help but love. 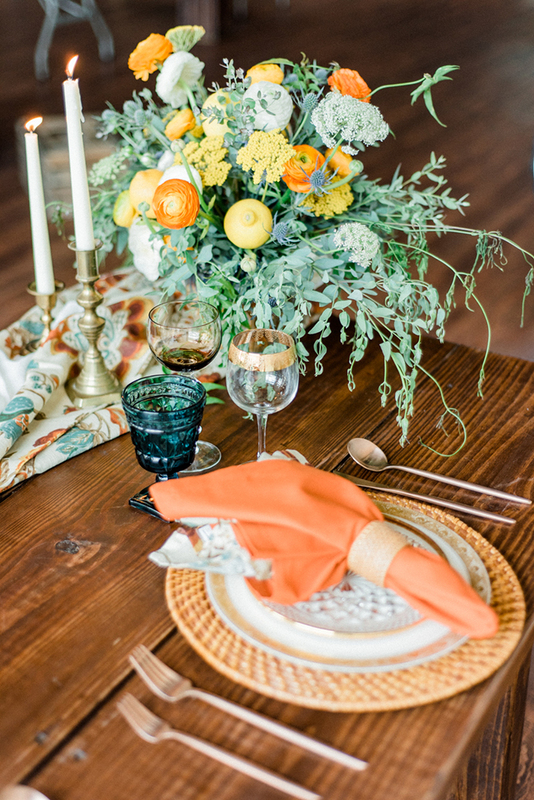 Everything is effortlessly sophisticated with fun pops of whimsy in the citrus details and the floral print runner. 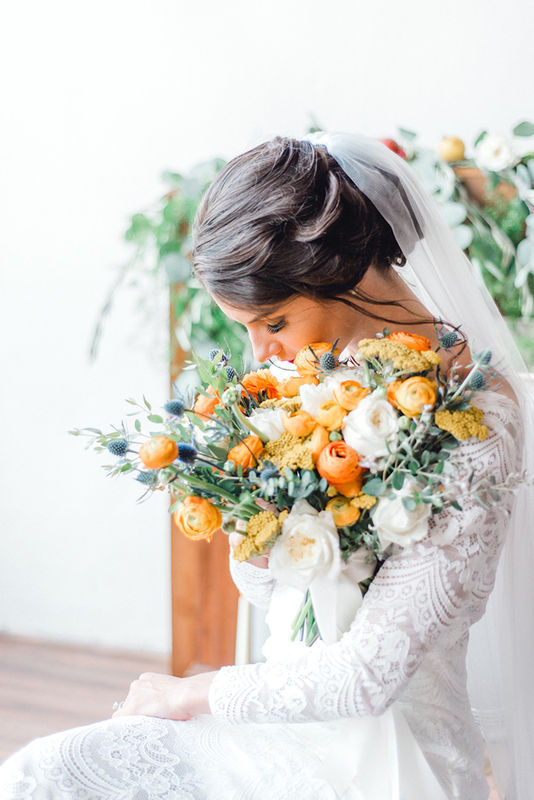 The wedding color scheme was spruced up with pops of blue and orange. 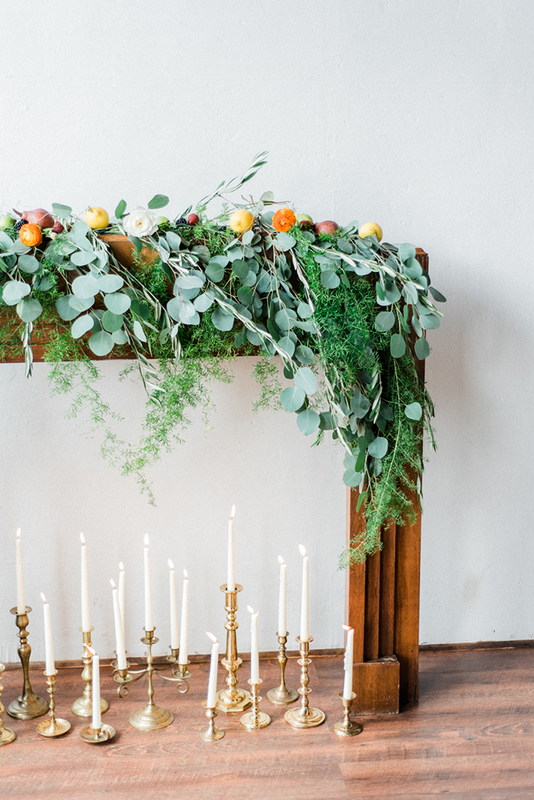 The wedding ceremony space was done with a faux fireplace mantel, some candles, greenery and bold blooms. The wedding reception space was done with a naked wedding table, a floral table runner, a bold floral centerpiece with thistles. The chargers were wicker ones, there were floral and bright orange napkins and colored glasses. 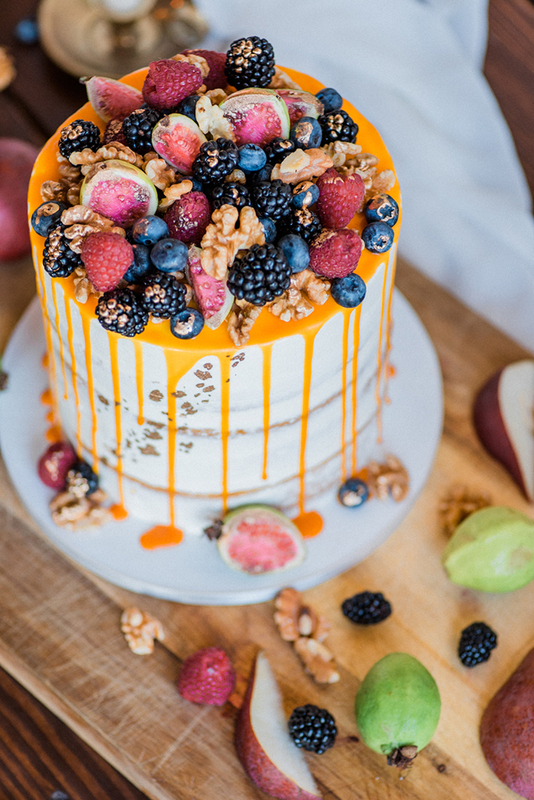 The wedding cake was a naked one topped with fresh raspberries, blackberries, nuts and figs and with caramel dripping. 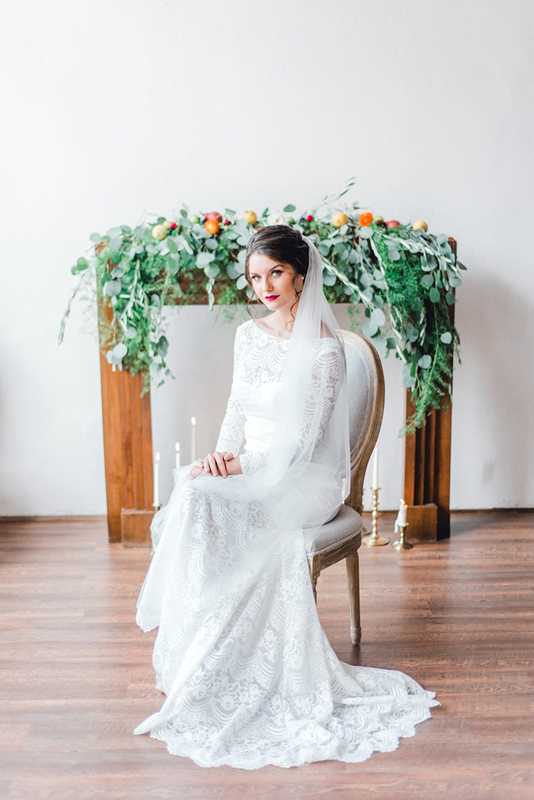 The bride was wearing a beautiful lace sheath wedding dress with a bateau neckline and long sleeves. I love the illusion neckline, the cutout back, which add an edge to the look. 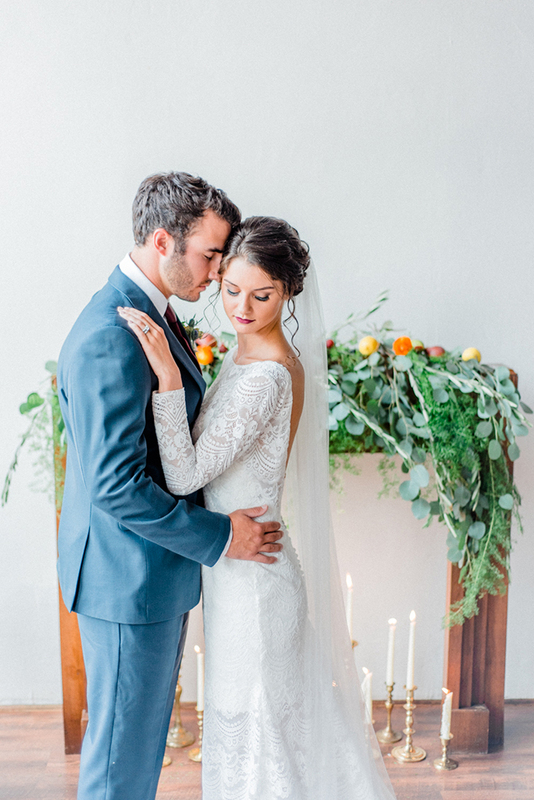 The bride was also rocking an elegant wavy updo and a plum-colored lip that tied her look to the groom’s. The groom was rocking a blue suit with a plum-colored tie. Take a look at the pics and get inspired!